Floor Designs love selling Karndean design floors around Central Scotland in the areas of Glasgow, Edinburgh , Cumbernauld, Falkirk, Stirling and Perthshire .We’re a specialist in giving great advice, explaining all the benefits, giving you the best options for your budget.Our installers are second to none and we simply love Karndean flooring! The design team at Karnadean have a knack for making the functional stylish – and convincing so. If you are fond of the bucolic, lady-of-the-manner look, but you don’t want the hassle of maintaining all-natural materials, such as wood or stone floors, you’ll want to check out a few designs in particular. They may just convert you to Luxury Vinyl. The Aran Oak wood planks were painstakingly designed to create a grain that brings natural light and shade to the mid-brown base colour. It is a mid-tone oak with huge versatility. This means it’s almost guaranteed to look at home with your existing furniture and décor. 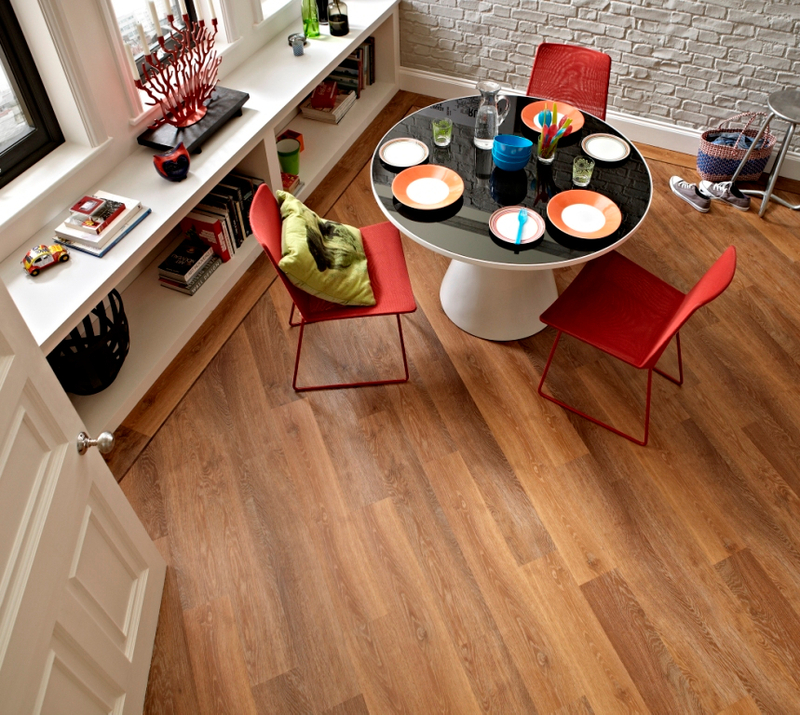 This is a good choice if you’re not planning to redo an entire room, but merely change the look of a floor. The Espresso Antique Ceramic tiles are truly rustic and could be used on the set of a Jane Austen movie without looking out of place, we think. The warm, earthy colour and dappled design has a brilliantly tactile surface, without the coldness of real ceramic. This design can easily be coupled with realistic grout strips to add to the authentic, natural feel of the look. The Piazza Limestone floor design teams sandy colours with delicate hints of blue to the warm and subtle palette of a classic limestone. The gently pitted surface feel and discreet blotchy pattern make this design a uniquely versatile backdrop to any space. Many Karnadean floors now come in LooseLay, which is an innovative new format of luxury vinyl flooring that’s quick and easy to install. Featuring enhanced acoustic properties and excellent environmental credentials, Karndean LooseLay has been tested in key markets worldwide, and has proved itself an ideal flooring system. • Requires little or no adhesives in most installations and is 100% recyclable. If you want to personalize your floor, you have the option of using Karnadean’s design strips and borders. The strips are a clever way for you to try out different looks or to add decorative embellishments to a room. 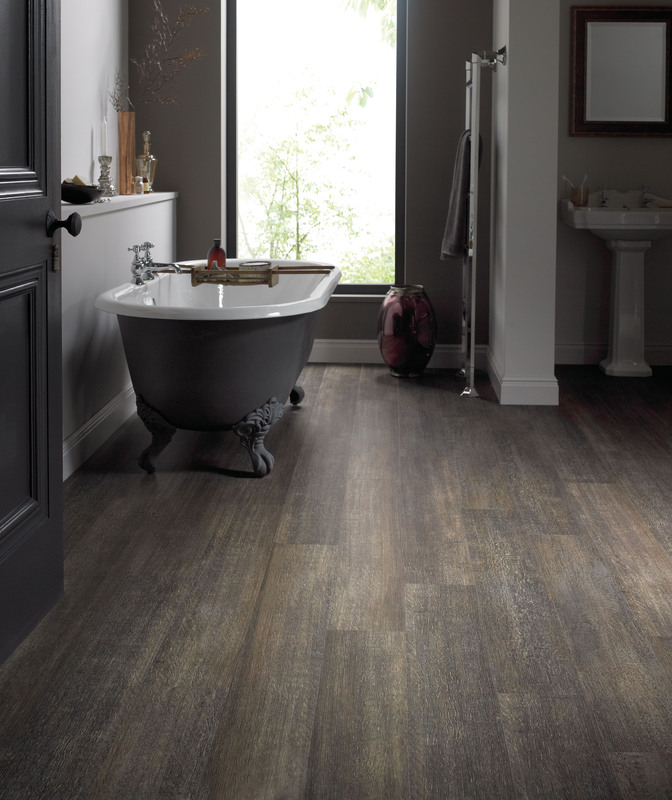 Why not try a design strip between wood effect planks to create a unique effect, for example? How about a ship’s decking effect between wood planks, or strips as a tramline? 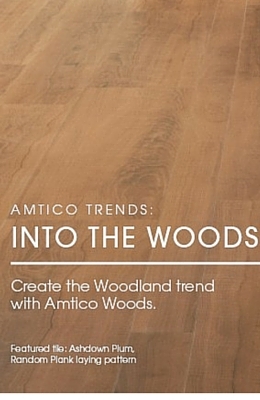 You can also creatively mimic the natural gaps between read wood floor boards for that added authentic feel. Design strips can also be used as borders around the edges of rooms to create stunning frames of your choice. They can also be beautifully used to embrace features such as fireplaces, kitchen islands or merely the centre of the room. 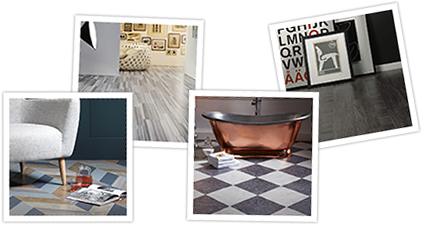 Whatever your choice – a standard floor as it comes, or a personalized element, two things are guaranteed: quality and beauty.